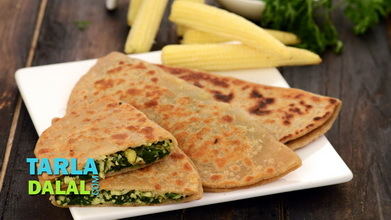 Crisp and tasty parathas that none can refuse, the stuffed cauliflower paratha is wonderful way of preparing healthy cauliflower. 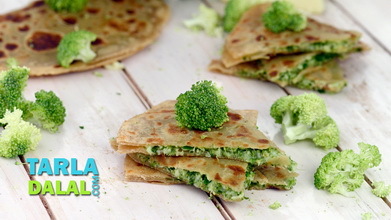 Whole wheat flour and a liberal amount of cauliflower make this a nutritious dish, which is crispier than normal parathas due to the additional of rice flour. 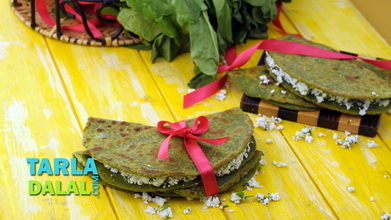 Aromatic herbs like coriander and mint along with green chillies give these parathas a naturally strong aroma that kindles one's appetite. 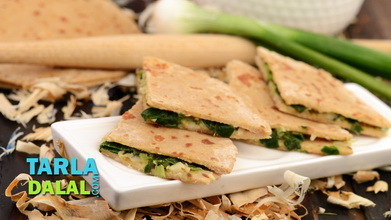 Combine the rice flour, whole wheat flour, oil and salt in a bowl, mix well and knead into a stiff dough using enough milk. Heat the oil in a broad non-stick pan, add the cauliflower, salt, turmeric powder and 2 tbsp of water, mix well and cook on a medium flame for 2 to 3 minutes, while stirring continuously. Add the coriander, mint leaves, green chillies and pepper powder, mix well and cook on a medium flame for another 1 to 2 minutes, while stirring occasionally. Roll 1 portion of the dough into 150 mm. (6”) diameter thin circle using a little whole wheat flour for rolling. 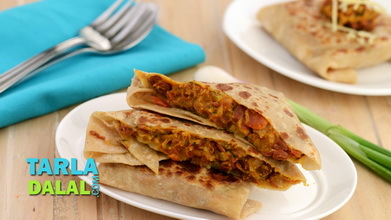 Place the roti on a greased hot non-stick tava (griddle) and place 1 portion of the stuffing on one half of the roti. 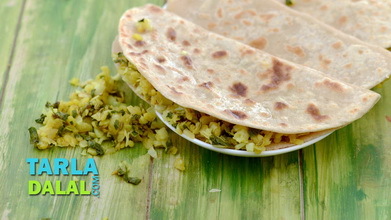 Fold the other half of the roti over the stuffing to make a semi-circle and press it lightly so that the stuffing doesn’t spill out. 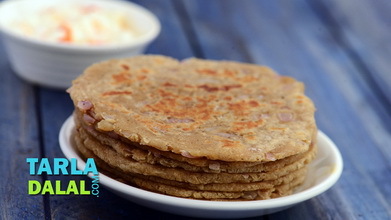 Cook the paratha, using a little oil, till it turns golden brown in colour from both the sides. 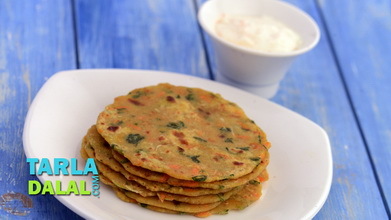 Repeat steps 2 to 5 to make 5 more parathas.